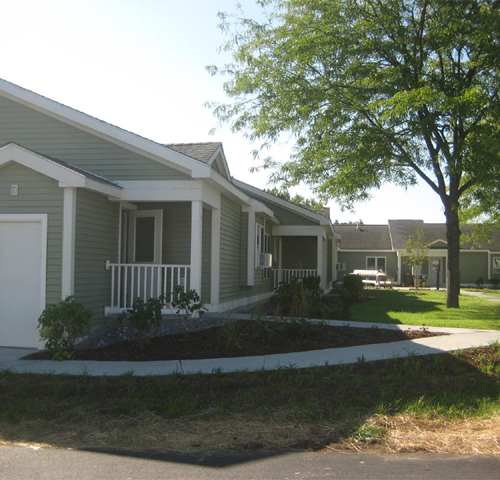 The Valley View II Apartments project was the renovation of an existing twelve unit elderly housing apartment building in Vergennes, Vermont. The project focused on improving the building's energy efficiency and upgrading the finishes- both the interior and exterior. Work included new insulation, windows and doors, siding, and upgrades to the interior such as new paint, flooring, cabinets and countertops, appliances, and plumbing fixtures. A new sprinkler system was installed and included the addition of a separate entrance room. 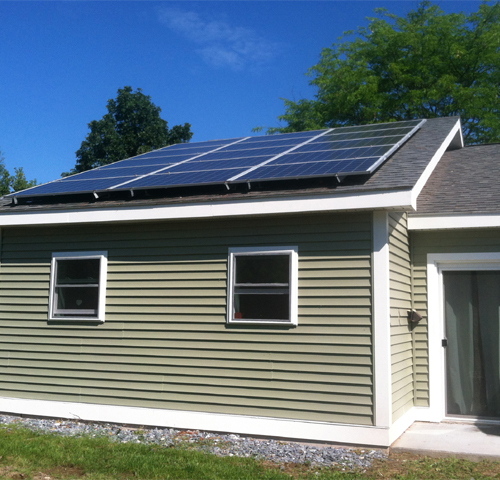 Electrical and mechanical systems were upgraded and a new solar domestic hot water system and solar panels were installed. Because of the way the building is positioned on the site, the panels are installed with the maximum sun exposure but are not visible when approaching the building. 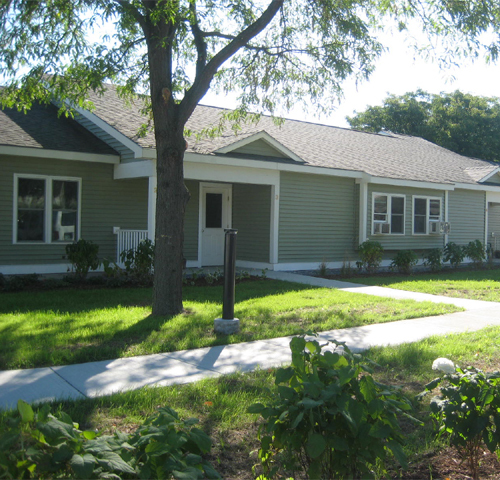 Miscellaneous site work included new paving, sidewalks, landscaping, and exterior lighting. 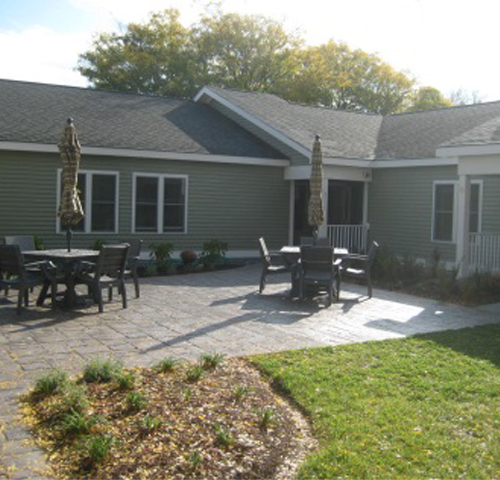 New individual patios were installed at the back of each apartment unit. A new shared central patio was created in the front of the building which provides the tenants with an outdoor common space to interact with one another.